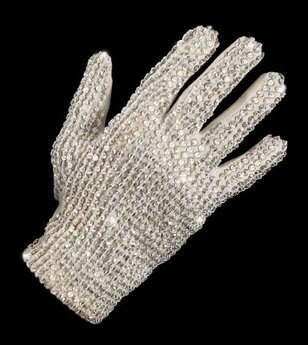 A white glove worn by the late singer Michael Jackson sold at auction for A$57,600 ($49,000) in Australia Sunday, nearly twice the price auctioneers expected, the auction house said. The white bejeweled glove was a trademark of the U.S. singer, and according to auction house Bonhams and Goodman this was the first Jackson glove to go on sale since he died in June at the age of 50. The glove sold in Melbourne Sunday was worn by Jackson in Sydney in 1996, on the day he married Debbie Rowe, the mother of his two elder children, the auction house said. After a bidding war between collectors in Australia and the United States, it was bought by Warwick Stone on behalf of the Hard Rock Hotel and Casino in Las Vegas. 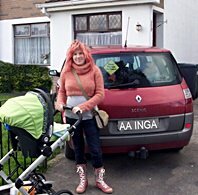 “There was a huge amount of interest in the week leading up to the sale. We were still pretty surprised by the price,” Charlotte Stanes of the auction house told Reuters. In November 1996 Jackson was in Sydney during the HIStory tour, and attended a premiere in Sydney of the film “Ghosts,” in which he starred. Earlier the same day the singer had married Rowe. At the end of the performance Jackson threw the glove to Bill Hibble, a collector of music and film memorabilia, who has since died. Hibble’s mother put the glove up for auction. Giles Moon, national head of collectables for the auction house, said he was “astounded” by the price it fetched. Jackson was buried last week in California, two months after his death from a drug overdose. His death has been ruled a homicide and police are investigating several doctors. They have said they will seek criminal charges but so far none has been filed.